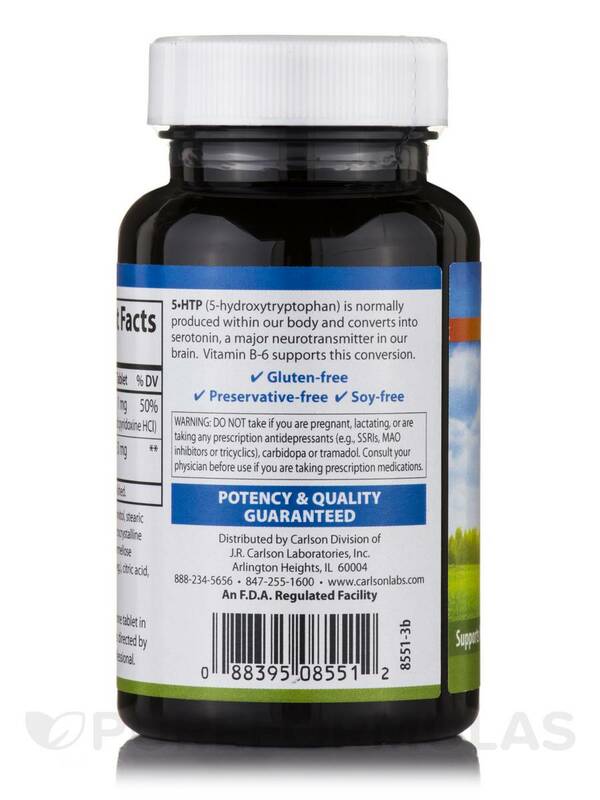 5-HTP Elite 50 mg eases anxiety‚ headaches‚ and nervous tension. 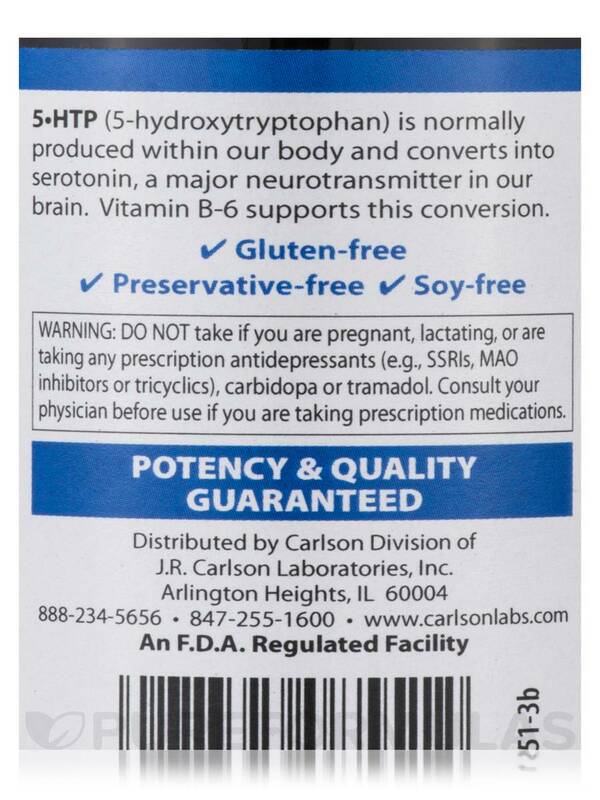 5-HTP Elite 50 mg‚ manufactured by J.R. Carlson® Laboratories‚ Inc. may alleviate sleeping problems. 5-HTP potentially reduces obesity. 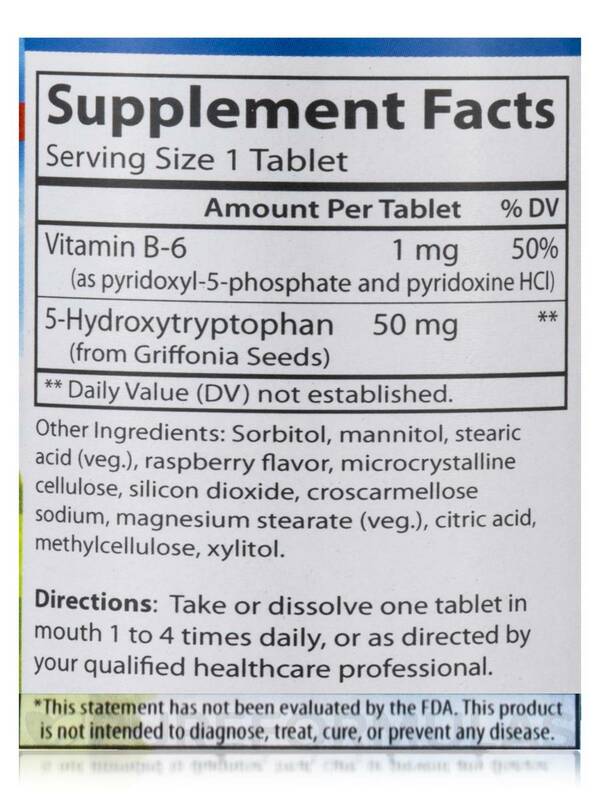 5-HTP from Griffonia Seeds may help relieve muscle stress‚ improve your mood‚ and support weight loss. Vitamin B-6 possibly lowers cholesterol and blood pressure levels. Some studies show that Vitamin B-6 assists in maintaining healthy brain functions. 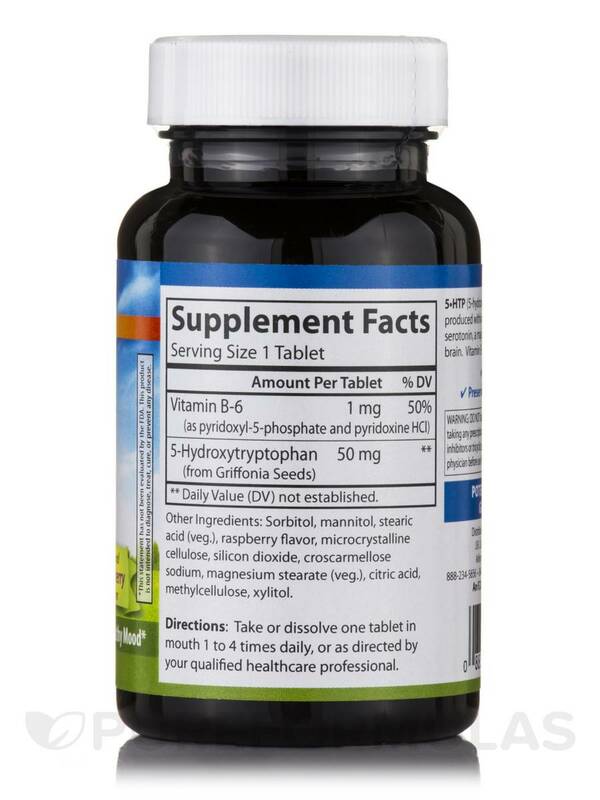 These tasty tablets help regulate mood and appetite. 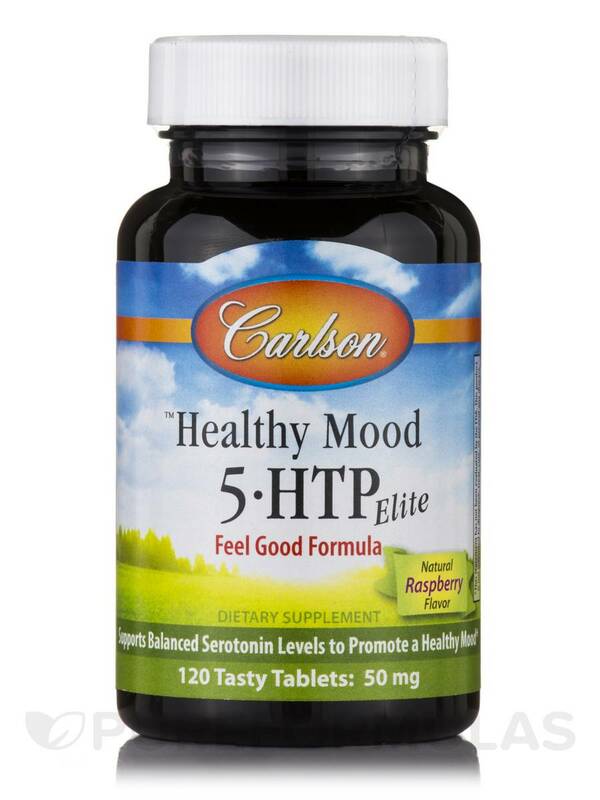 Taking 5-HTP Elite 50 mg helps relieve the symptoms of sleeplessness and morning stiffness. Do not take if you are pregnant‚ lactating‚ or are taking any prescription antidepressants (e.g. SSRIs‚ MAO inhibitors or tricyclics)‚ carbidopa or tramadol. Consult your physician before use if you are taking prescription medications.